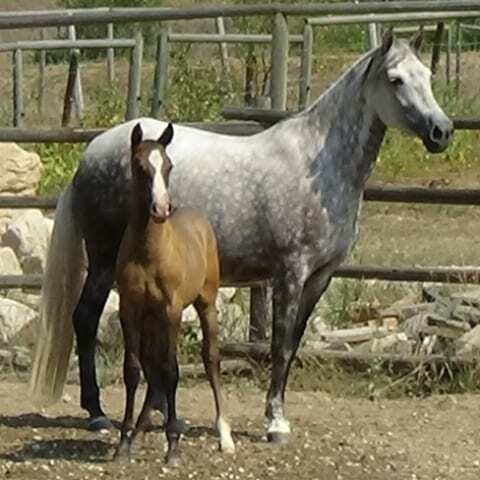 Coqueta is a 2009 grey Canadian National Champion Andalusian mare. Her sire is Ocioso VIII, a US multinational Champion stallion and one of the top champion producing sires in the US. Her dam is one of our foundation mares, Inez VW. Coqueta is a fantastic mare with great presence and movement. She was shown in 2010 and 2012 at the Canadian National Show. In 2010, Coqueta was incredible and became the 2010 National Champion Filly, 1 year and under and 2 years and under. 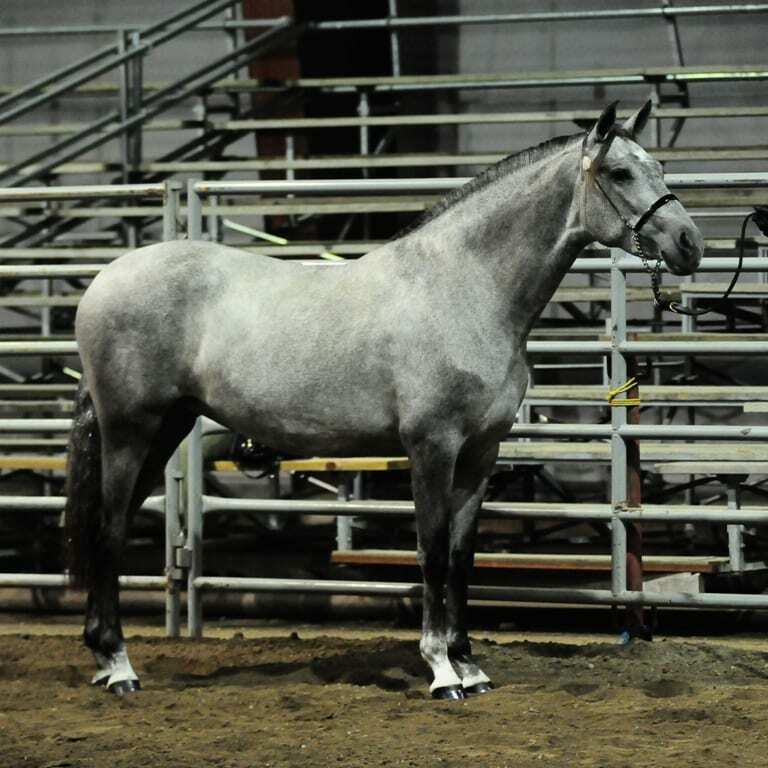 She was also the Reserve National Champion Andalusian Mare, All Ages, Amateur to Handle. She was then shown again in 2012 were she won the National Champion Jr Mare, 3 and 4 years, Reserve National Champion Best Movement, Champion PRE Mare, National Champion Andalusian Mare, Amateur to Handle, and, saving the best until last, the Canadian National Supreme Halter Champion for 2012. Coqueta has given us one outstanding filly so far, VA La Duquesa (sire was Perigrino De Fraille). Duquesa was the 2014 National Champion Filly, One and Under and Gold Medal Movement winner. Coqueta has given us a stunning filly for 2015 to our black stallion, VA Mystique’s Hijo Amado. VA Reina as her name depicts, will definitely be “Queen” of all the land. What an amazing filly. VA Reina will absolutely be at the National show in 2016! 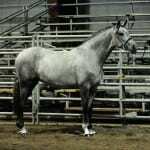 VMF Jugador De Corazones is a 2009 Grey PRE Andalusian stallion. His sire is Canadian National Champion Mystiqe’s Padrino and his dam is our foundation mare, OA Sienna. 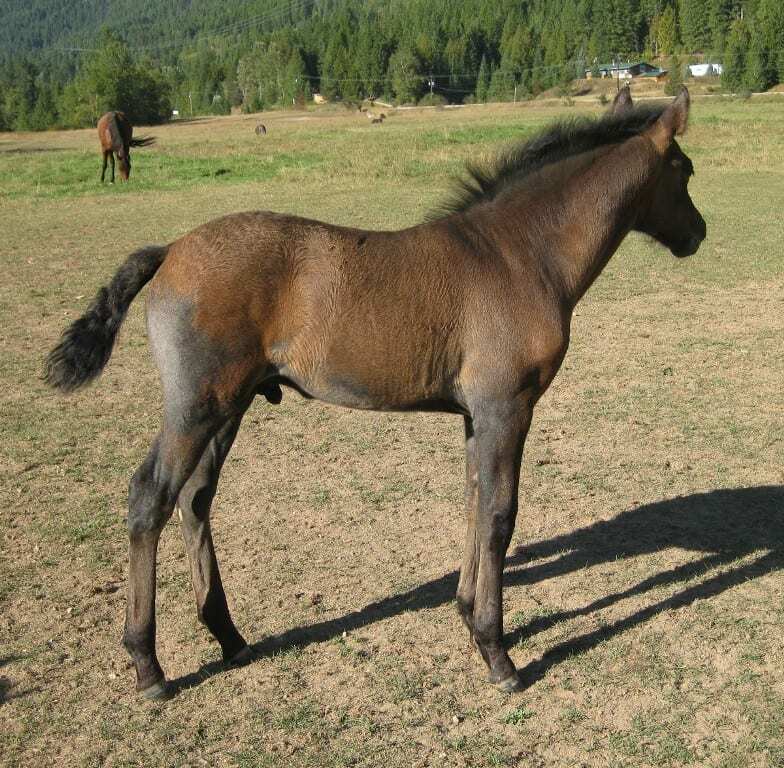 Jugador was sold as a weanling to Daina Hunter and resides in Ontario.